The Israeli Defense Forces announced Friday that their probe into the Iranian drone that entered the country's airspace in February showed that it was allegedly carrying explosives and programmed to attack Israel. The incident took place on February 10. According to the Israeli army, one of its Apache attack helicopters had intercepted the Iranian drone launched from Syria, ultimately triggering the Israeli Air Force (IAF) to strike alleged Iranian targets in Syria. Responding to the Israeli attack, Syrian air defense systems fired down an Israeli F-16 aircraft. Both crew members — a pilot and navigator — managed to eject before the plane crashed in northern Israel. 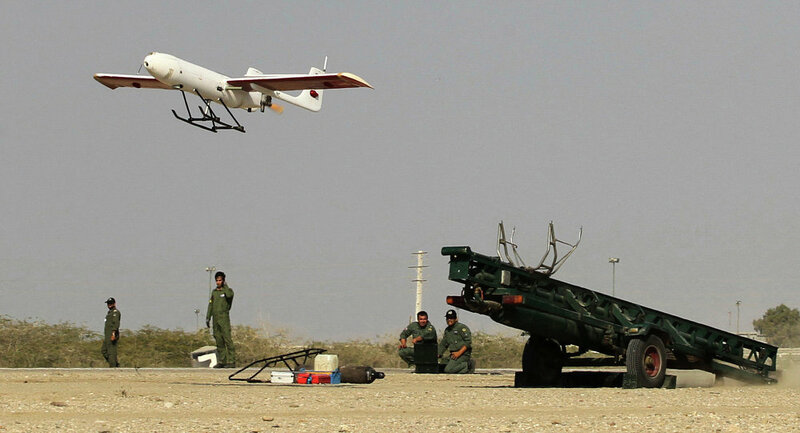 As the Israeli military explained Friday, the alleged Iranian drone downed in February was tracked by the country's defense systems. The shots fired from Syrian air defense systems in February prompted a tough response from the Israeli side: it attacked 12 positions in Syria, including eight Syrian airplanes and three anti-aircraft batteries. Commenting on the offense, a military source told Sputnik that the Israeli military believed it had destroyed up to a half of the Syrian Air Defense Forces during the airstrike. Reacting to the exchange of fire several days after, Syria's Deputy Foreign and Expatriates Minister Fayssal Mikdad vowed that Damascus would down any jet that started an assault on Syria. Responding to numerous allegations voiced by the United States and Israel, Iran has repeatedly denied having their military presence in Syria, while admitting to having sent advisers in order to help Damascus fight terrorists. The relations between Iran and Israel are one of the tensest among the countries in the Middle East: Iran refuses to recognize the state of Israel and accuses it occupying the Palestinian state. Tel Aviv, in its turn, claims that Tehran strives to develop nuclear weapons, aimed to threaten and potentially attack Israel. Both countries have repeatedly exchanged accusations and threats toward each other. In the latest statement from a representative of Iran's supreme leader to the Quds Force — a special forces unit of the Iranian Revolutionary Guards Corps (IRGC), warned that Iran could destroy Israel if the latter continued "its treacherous existence." Both countries have a rich history of conflicts over the disputed Golan Heights. Israel and Syria have never signed a peace treaty and have repeatedly exchanged fire, with the latest incident occurring in January. At the time, the Syrian forces prevented three Israeli missile attacks. The Syrian authorities accused Israel of cooperating with terrorist groups, adding that Tel Aviv "posed a threat to global security and peace on par with Daesh and Jabhat al-Nusra*. *Daesh, Jabhat al-Nusra — terrorist groups, banned in numerous countries, including Russia.